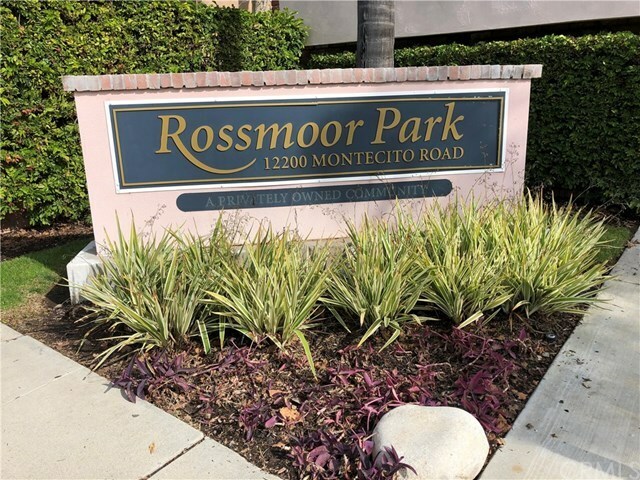 Don't miss this opportunity to live in Seal Beach, next to Rossmoor at this affordable price and own a 2 Bedroom 2 Bath upper end unit condo in the gated community of Rossmoor Park Condominiums. This condo needs some TLC, but with a little bit of paint, flooring and some updating you will have an great place to live with a great view of the greenbelt from your balcony. Located in the Award winning Blue Ribbon Los Alamitos school district, this condo comes with a covered parking space and built in storage. Just a short walk to Sprouts, CPK, Home Goods, Kohl's and many other shops and restaurants in the "Shops at Rossmoor" center. Close to parks and schools. This complex has it all - 2 Pools, Jacuzzi, Barbecues, well equipped gym/exercise room with saunas, as well as a large clubhouse/recreation room. Directions: North on Seal Beach Blvd to St Albans, left on St Albans to Montecito Rd.